Based in Birmingham, we have been established for many years. Our business expertise is second to none, and we have helped countless people throughout the area. As a longstanding family run, friendly, SSAIB Approved business, we offer expertise in all forms of electronic security. 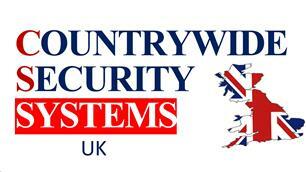 We can install and monitor CCTV systems. By providing regular maintenance and dealing with any repairs promptly, we ensure that your property is always secured. All types of intruder alarm systems can be installed, from the simplest 'bell' only alarm, to the most sophisticated alarm monitoring system. Worried about fire and smoke alarms? We can help. We can install systems which will solve your problems. For extra safeguards, we can provide fire extinguishers for emergency use, keeping them maintained and in full working order. Best of all, we will come out to your business or your home and do a full site survey, assessing your security needs or your fire risks.